This classic Vietnamese soup will warm your belly this winter. 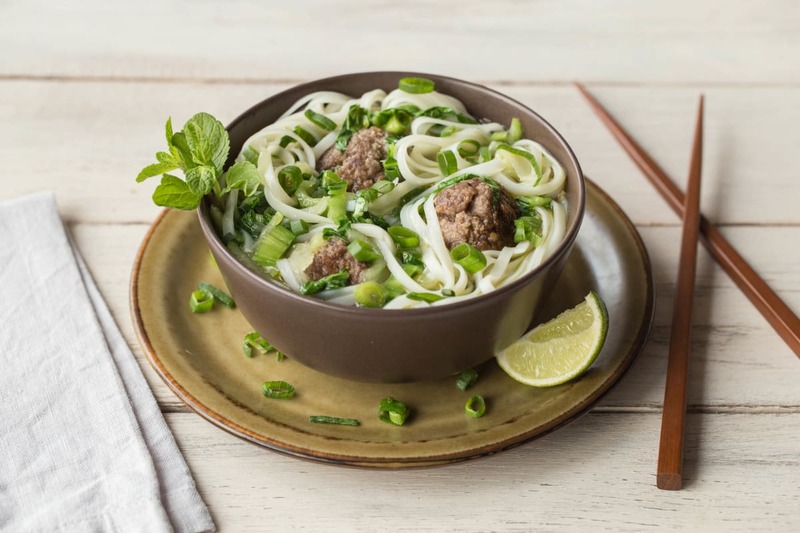 In our version, we’ve added little Asian-spiced beef meatballs. 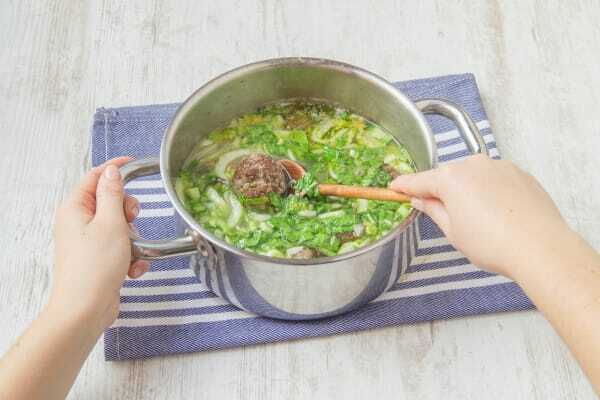 Garlic, ginger, and mint create a fragrant broth, and bok choy adds a splash of color. Have your own chopsticks? Now's the time to use them to slurp up all those delicious rice noodles! Thinly slice the scallions, keeping white and green parts separate. Peel the ginger with a spoon and then mince or grate along with the garlic. Cut the lime into wedges. 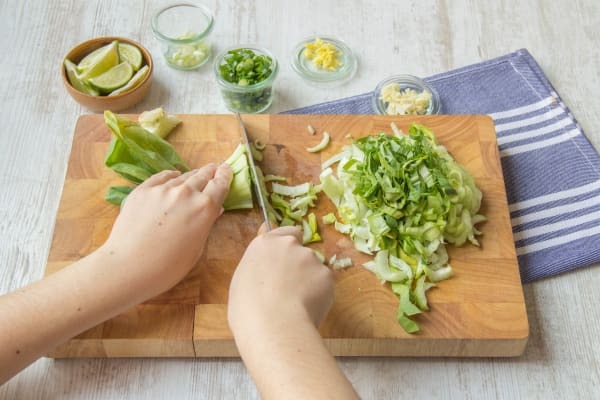 Thinly slice the bok choy leaves and stems. Coarsely chop the mint. Seed and mince the jalapeño. 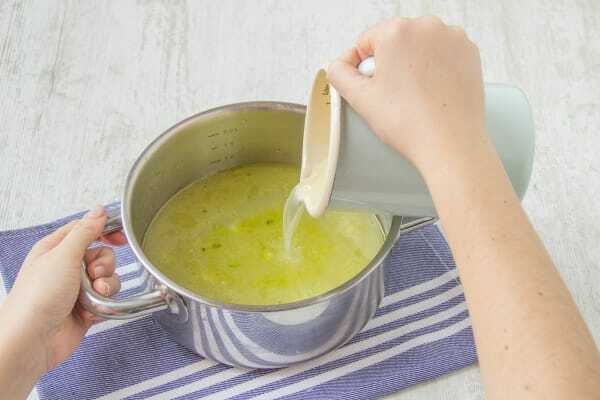 Heat 1/2 tablespoon oil in a pot over medium heat. Add half the scallion whites and half the ginger and cook for 30 seconds, until fragrant. Add the pho concentrate and 4 cups of water. Bring to a boil, reduce to a simmer, and cook for 10 minutes. Meanwhile, in a bowl, combine grounded beef with garlic, panko, remaining ginger, remaining scallion whites, and a large pinch of salt and pepper. Add as much jalapeño as you dare. 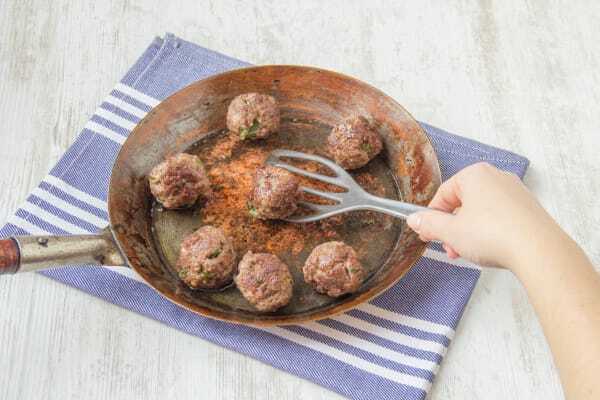 Combine and form the mixture into bite-sized meatballs (about the size of a ping-pong ball). Heat 1/2 tablespoon oil in a pan over medium heat. Add the meatballs and cook, rotating, until browned on all sides. Add the meatballs, 1/3 of the rice noodles, and bok choy to the broth. Simmer until the noodles are tender and meatballs are cooked through, about 4 minutes. Taste and season with salt and pepper.